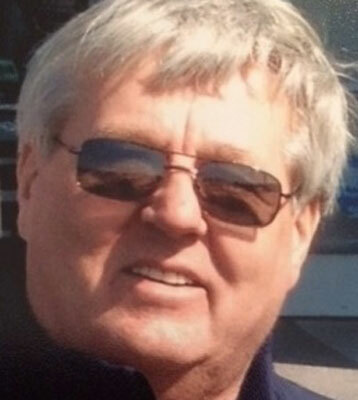 MCDONALD - Robert L. Jones Jr., 63, passed away on Monday, Aug. 10, 2015, at Hospice House. Bob was born Oct. 17, 1951, in Youngstown, the son of Robert L. and Violet Courtney Jones Sr.
Bob worked for General Motors as a benefits representative for 45 years. He was a 1970 graduate of McDonald High School and was most recently on the board of education for McDonald and a McDonald football coach. He enjoyed his fishing time and camping with his wife. Besides his parents of McDonald, he leaves to cherish his memory, his wife, the former Sandra L. Gallagher, whom he married May 20, 1978; his daughters, Abby Lynn (Rob) Peters of Weathersfield Township and Samantha Jean Jones of McDonald; grandchildren Seth, Austin, Maddie Fred, Zoey, Makenna, Makinzy, and Zachary; sisters Kathy (Ron) Jones and Debra (Jeff) Dombroski, both of McDonald; and brother Dickie Jones of Boardman. Funeral services will be held on Thursday, Aug. 13, at 11 a.m., at the Blackstone Funeral Home in Girard. Visitation will be held on Wednesday from 4 to 8 p.m. at the funeral home. Bob will be laid to rest at Four Mile Run Cemetery. The family requests any material contributions be made to Hospice of the Valley or McDonald Schools. Visit www.blackstonefuneralhome.com to view this obituary and to send any condolences to the Jones family.